Pre-qualify on NerdWallet and receive a personalized rate from multiple online lenders. 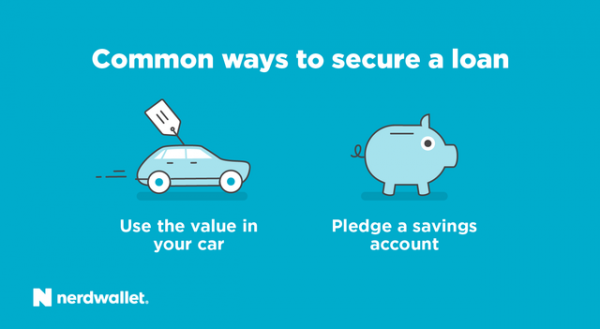 Auto title loans, which typically have annual percentage rates as high as 300%, don’t require a credit check and carry a higher risk of having your vehicle repossessed. NerdWallet does not recommend auto title loans. Compare Rates	Click to compare estimated rates on NerdWallet. 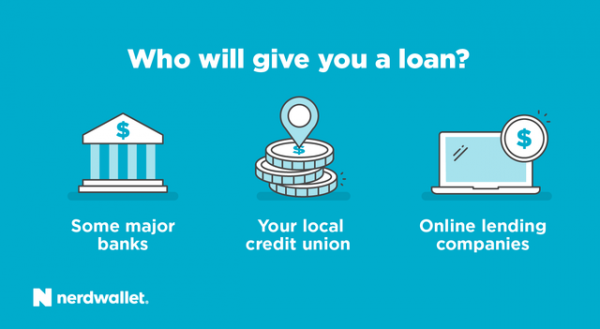 Most online lenders let you check your rate without affecting your credit, so it doesn’t hurt to first apply for an unsecured loan at multiple lenders to see if you qualify. You can use NerdWallet’s lender marketplace to compare rates in one place.